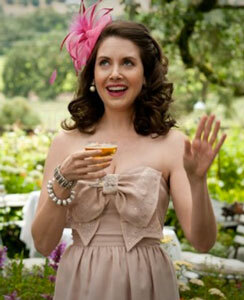 Community and Mad Men star Alison Brie has her most high-profile movie role so far in The Five-Year Engagement as the sister of lead actress Emily Blunt. Of course, the American Brie had to work on her accent to sound like the English Blunt, and she talked to MovieFone about how she prepared for that and gave some insight into the problems on the set of Community. The Five-Year Engagement opens on Friday, April 27.